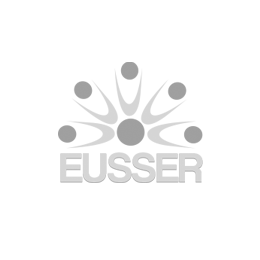 Registered members can access EUSSER reserved content area. Friday the 13th and Saturday the 14th of December, the European Congres of Shoulder & Elbow Rehabilitation will take place in ‘s-Hertogenbosch. This congress is an initiative of Shouldernetwork the Netherlands, EUSSER and Shouldernetwork Flanders. Yasmaine finished her degree in physiotherapy in 2009 and epidemiology in 2010. In 2011 she went on to start her PhD about shoulder management in physiotherapy practice for the Department of General Practice at Erasmus Medical Center in Rotterdam (the Netherlands) in cooperation with the Avans University of Applied Sciences. Currently she's finishing her PhD, works as a teacher in physiotherapy at the Avans University of Applied Sciences and as a clinical physiotherapist/ultrasonographer in a private practice focusing on shoulder complaints. The European Society for Shoulder and Elbow Rehabilitation is made up of health professionals who specialise or have an interest in the field of shoulder & elbow dysfunction. © 2014 EUSSER All Rights Reserved. WEB project bySAEP ICT Engineering s.r.l.